Larry Flynt, the entertainment tycoon is planning to invest at least $60 Million to his newly bought Normandie Casino. He got the gaming license for the same casino last month and is also looking to rename it as Larry Flynt’s Lucky Lady Casino. The casino is located near Rosecrans Avenue, which is one of the most expensive areas of city of Gardena. In a tussle with city council, Flynt threatened to shut down the casino and sell its gaming license to others because, Last month the city council voted that flynt has to pay at least $800,000 in a month to the city, to get any tax reward for his lucky lady casino. Flynt now owns two casino and they are Hustler and the Lucky Lady. According to the Gaming rules of the Gardena City, any casino operating in the city has to pay at least 12% of their monthly gross income. The two casinos named the Hustler and Normandie paid $9.5 Million to the city council in 2014. A spokesman of the Flynt Management group Mr. Evan Roosevelt said that the main objective is not the amount but it is the monthly guarantee that is pushing us down. He also said that we are quite optimistic that, things will get in process normally and the revised measure will pass on Wednesday. According to the reports published after the meeting in between Larry Flynt Management and the city council, he (Larry Flynt) threatened to oppose the city council members in next election. The report says that the Gardena city council will hold another meeting with the flynt management on Wednesday and that will not include any agenda like $800,000 monthly minimum. Meanwhile, No one from the city council was able to talk about the situation. 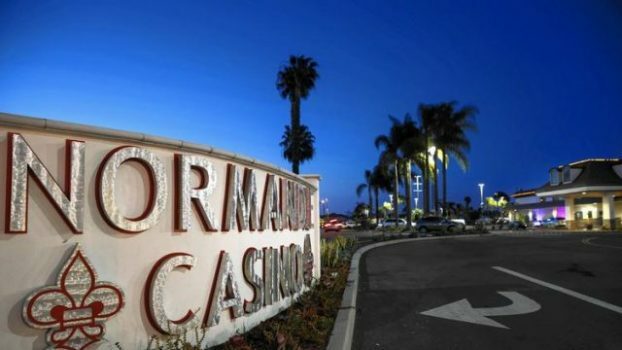 The Normandie Casino was owned and operated by the Miller family since 1947 but now belongs to its new owner (an entertainment tycoon Mr. Larry Flynt), because of some financial problems.